Building a truly successful business requires a keen understanding of the needs and desires of your market. In all cases, this ultimately traces to your customers’ wants and needs by connecting to the people who want your products and services and directly appealing to them, businesses gain new customers and clients. A common problem faced by many entrepreneurs is they either fail to define their potential customers or they lack the skills, resources, and strategies necessary to forge valuable relationships with them. 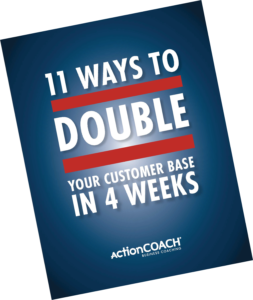 Self-promotion is essential, and a focused and effective marketing plan to advertise your business can easily double your customer base within four weeks. By following a few simple tips and engaging in some time-tested initiatives, the process can be both easy and lucrative. Those who have the time to pursue their passions and dreams, experience what life truly has to offer. 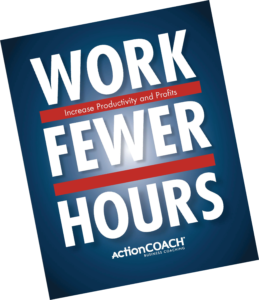 John D. Rockefeller, Sr. was a man who possessed incredible amounts of money, but he once remarked, “I know of nothing more despicable and pathetic than a man who devotes all the hours of the waking day to the making of money for money’s sake.” In other words, knowing how to spend time is a skill more valuable than knowing how to make, manage, invest, and spend money. Entrepreneurs who want to be truly successful have to devote themselves not only to the accumulation of financial assets, but also to the mastery of their precious and irreplaceable time. Why some businesses thrive while others implode during economic downswings remains a puzzle to many business-owning entrepreneurs. 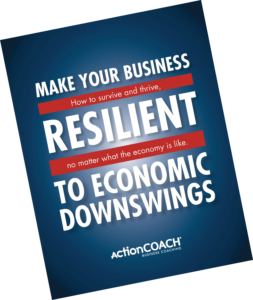 Often, they mistakenly assume that all businesses must suffer through recessionary cycles. In reality, some companies are essentially recession-proof, and it’s not necessarily because they are bigger, better-known, or more generously capitalised. What really separates the successful enterprises from those that collapse during down cycles is they are organised around a uniquely dynamic and healthier approach to the business cycle.